Like a Hollywood camera looking at a leg in a stocking, we're slowly casting our eye down the full, glistening length of Worm Salamanders. There are about 30 species of them, all contained within the genus Oedipina. They range in length from about 2.5 cm (an inch) to 25 cm (10 inches). But no matter how long they are when you measure them, they're always proportionally very long. Their legs are the teensiest little things you can imagine, while their tails might be twice as long as the rest of their body. 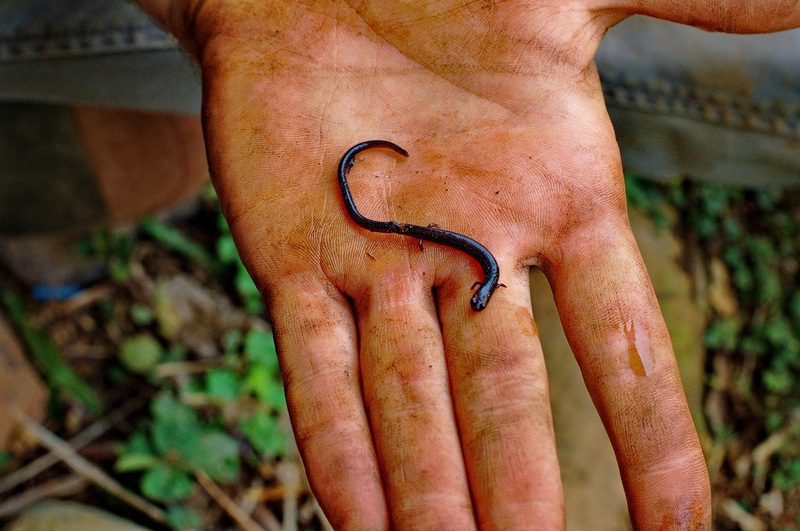 This is why they're called Worm Salamanders. Although at least one or two people are pleased to call them Slimenoodles. It pleases me, too! Slimenoodles live in Central America and down into parts of South America, where they rummage and slither around in the dampness of leaf litter and the darkness beneath logs in the forest. 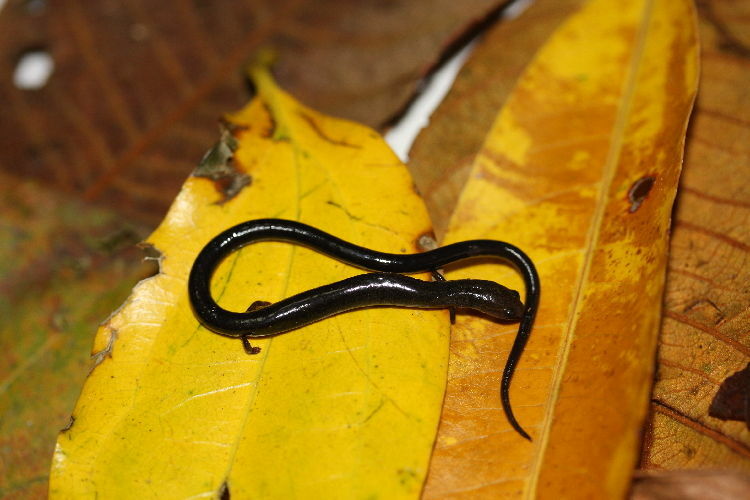 Worm Salamanders belong to an enormous family of salamanders called Plethodontidae. Many of their relatives are just as slimy, but few are as noodly. Their noodliness is unsurpassed. The main thing they all have in common is a lack of lungs. They do all their breathing right through the skin, so that incredible length is useful for increasing their surface area. It isn't just for show or to improve their wriggle. They do have a top quality wriggle, though. When harassed by predators they'll coil and flip, secrete nasty substances and generally throw a tantrum. Their tail might even fall off as a distraction. The horror! It'll grow back eventually, but it must take ages for a tail like that. 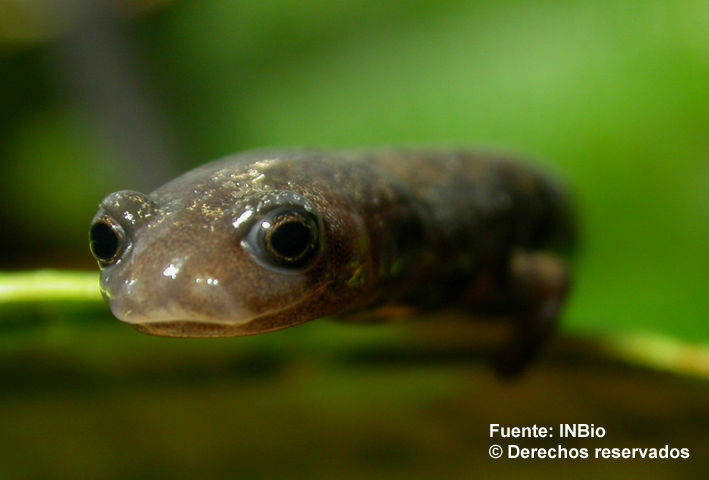 It's not nearly as easy to see, but the Worm Salamander also has an interesting face. Like other Plethodontids, their sense of smell is aided by a pair of slits between each nostril and the upper lip. They also have a pair of little lumps on their chin which produce pheromones. When they mate, the male grabs hold of the female and rubs his smelly chin lumps on her snout. It's very romantic. 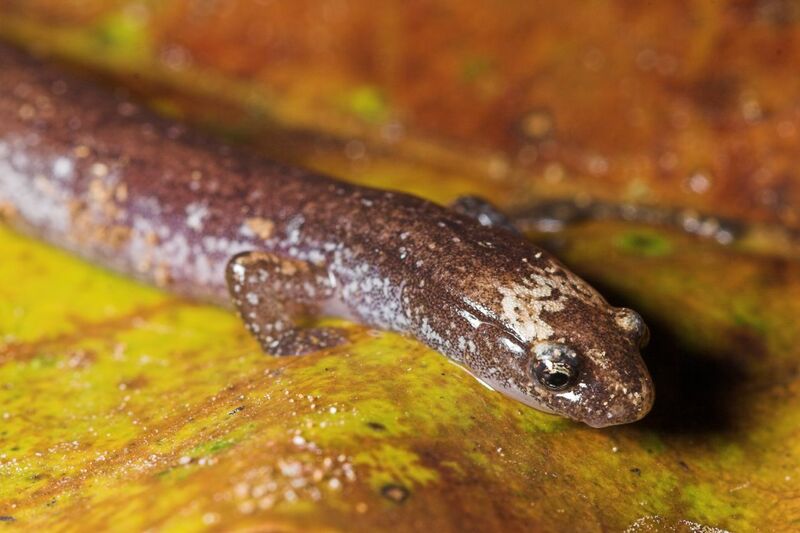 Speaking of which, Worm Salamanders differ from many other salamanders in that they have no tadpole stage. 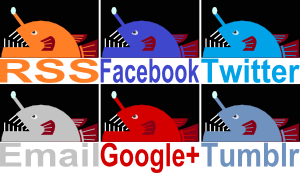 Their eggs hatch into miniature Slimenoodles, already graced with enormously long tails. As I say, their noodliness is unsurpassed. Truly, if the Flying Spaghetti Monster has angels, these Slimenoodles are they. I guess the Slimenoodlings are cherubim? Haha! There's a whole, heavenly host! Yup! Good thing they're nice and long so that there's lots of cuteness to admire!